What is it? 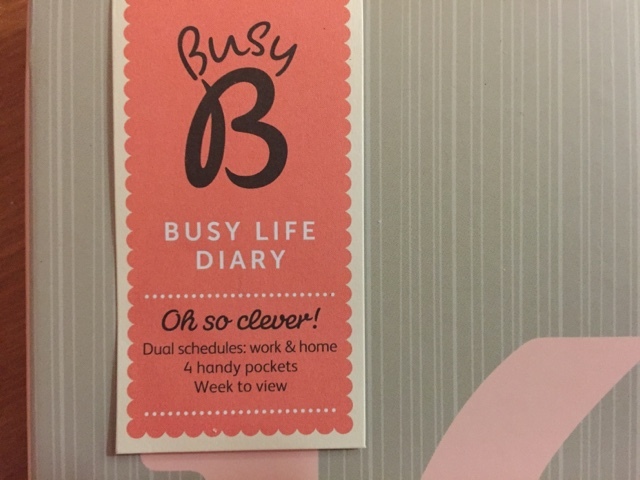 : A personal diary for busy people, with two sides of the diary to help plan your own schedule and your family's, or even work and home, activities and blog posts etc - whatever you need. First impressions: I really like the colours and the modern floral print on the cover. 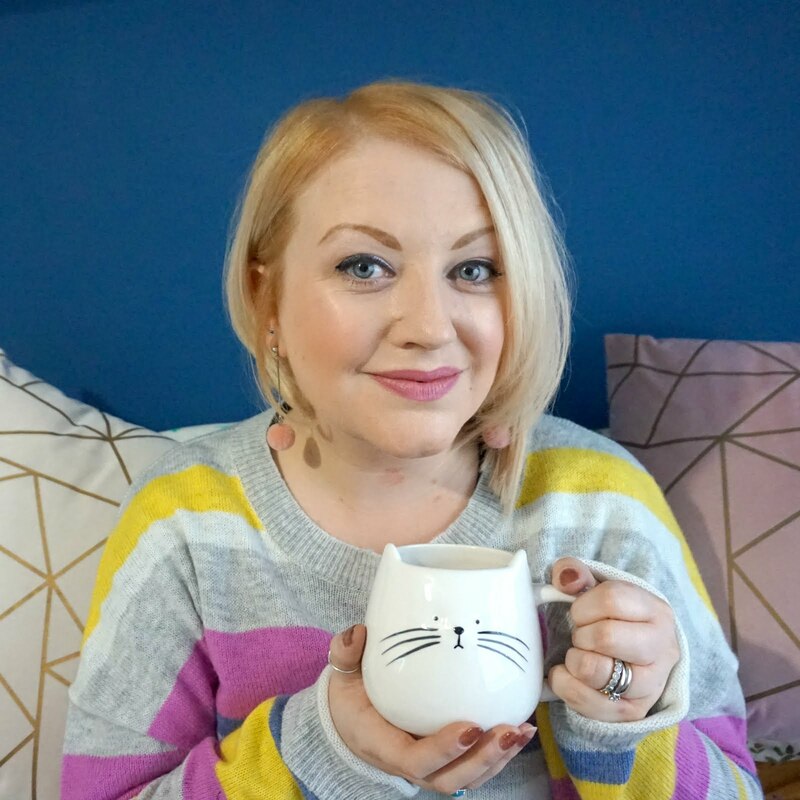 It's a nice size, just a tad smaller than A5 and perfect to put in your handbag and take with you. 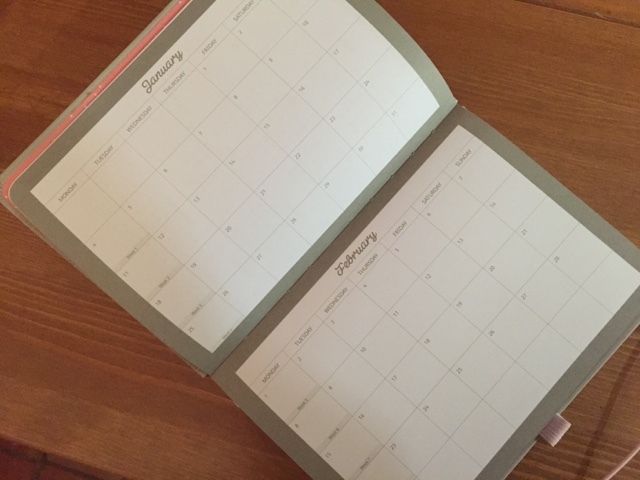 Month to view pages, to plan things at a glance. A week, repeated twice, on opposite pages plus notes/reminders columns. A handy sleeve every quarter to keep tickets or important notes safe, and space to make general notes of things you need to remember. 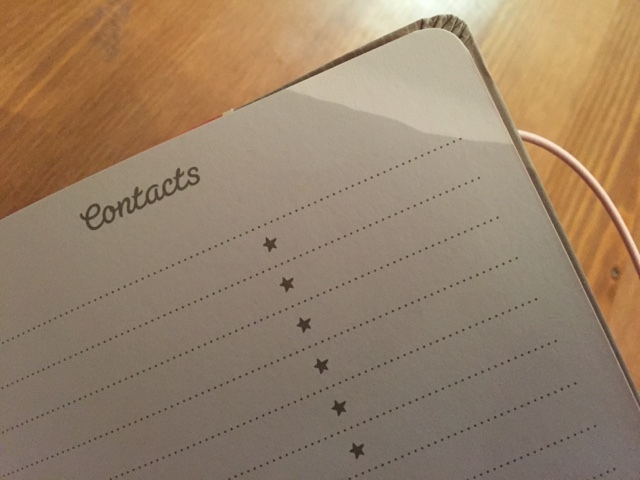 Extra notes and contacts pages at the back. Plus an elastic closure and pen loop. 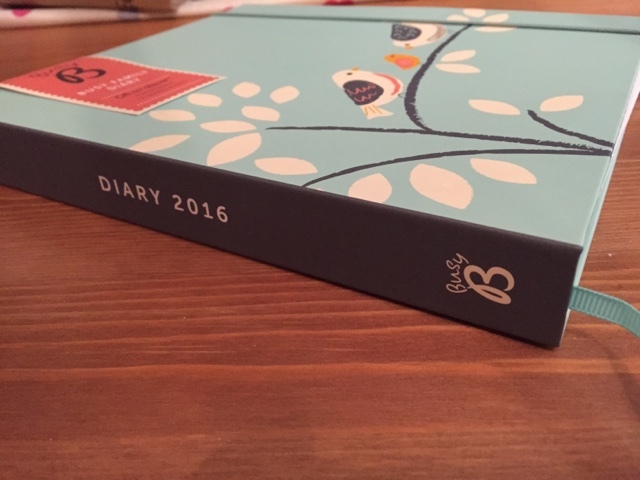 Overall: This is a beautiful diary that packs a lot in despite it's relatively compact and neat size. 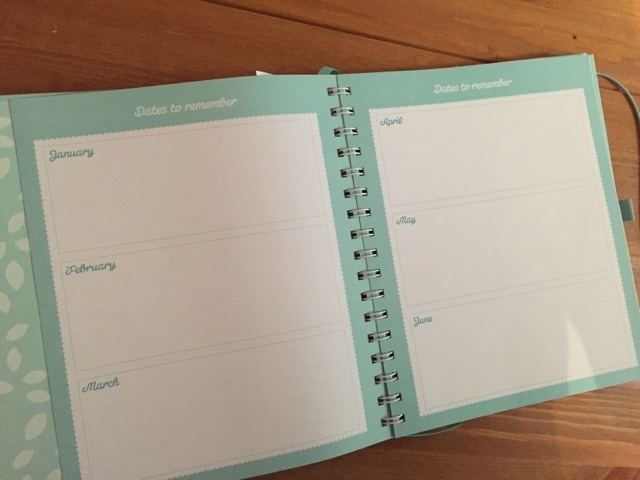 The dual weekly pages are perfect for giving you space for different areas of your life and the whole feel of the diary is lovely. What is it? 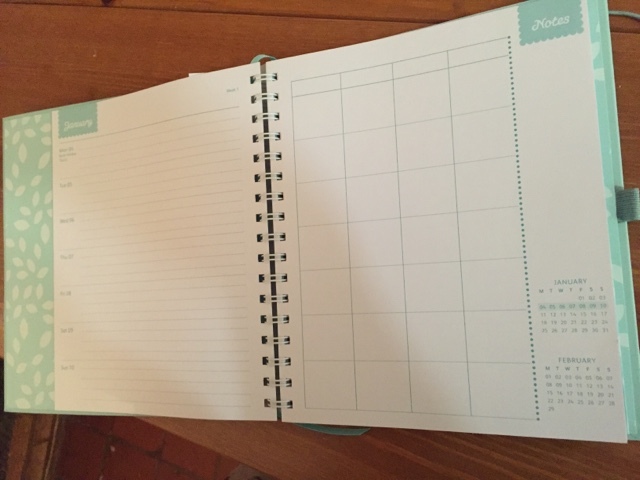 : A neat spiral diary that features a week across a page then has a grid format on the opposite page so you can plan out what everyone in the house will be doing each day. First impressions: This is a decent size page wise but still has quite a slim spine so doesn't feel bulky. 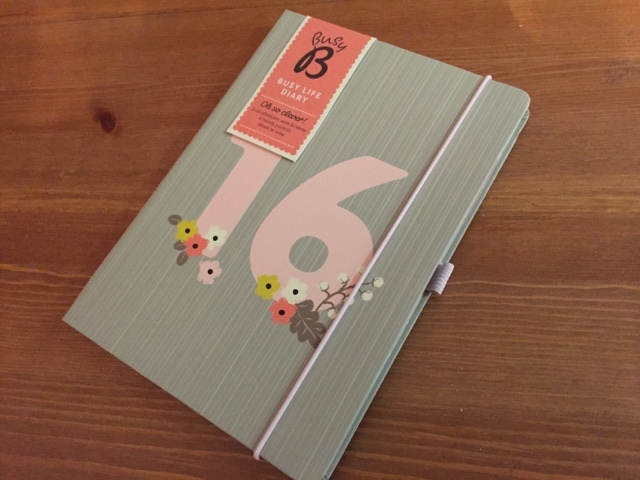 The colours and design are really nice and it has a good feel to it, like a compact album. 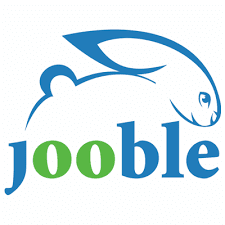 Space for logging important dates across the year, handy for quick reference. 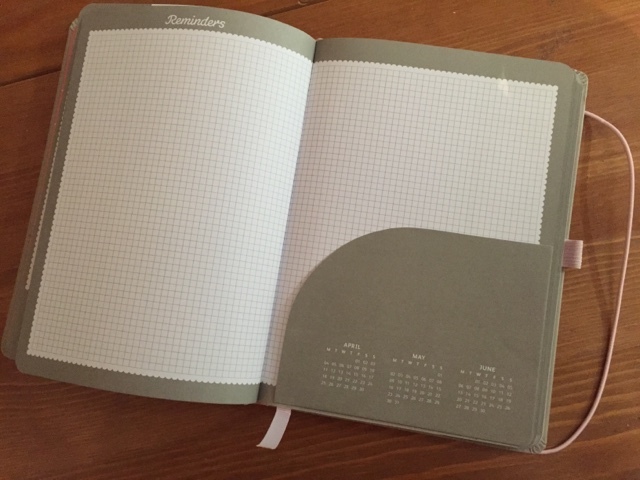 A week spread across one page with a grid opposite with four columns, so you can add notes for each day for every member of the family. 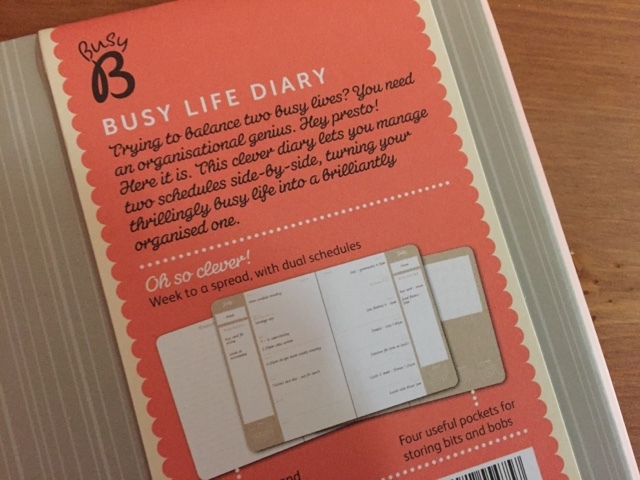 Or, as I was thinking, you could use the columns to make notes on daily meals, down time, chores, blog posts... whatever you fancy! 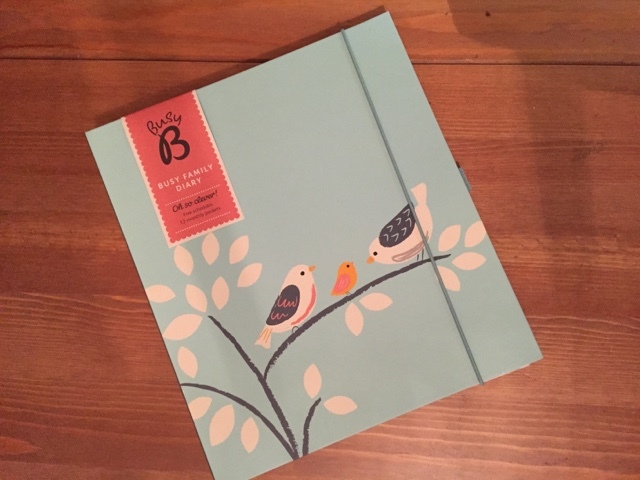 A sleeve each month to keep papers together and again, more space for notes. 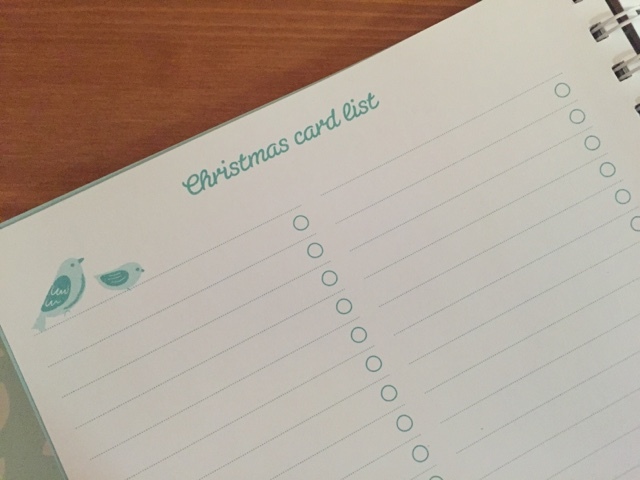 A Christmas section at the end, to make Christmas card lists and log present ideas too. 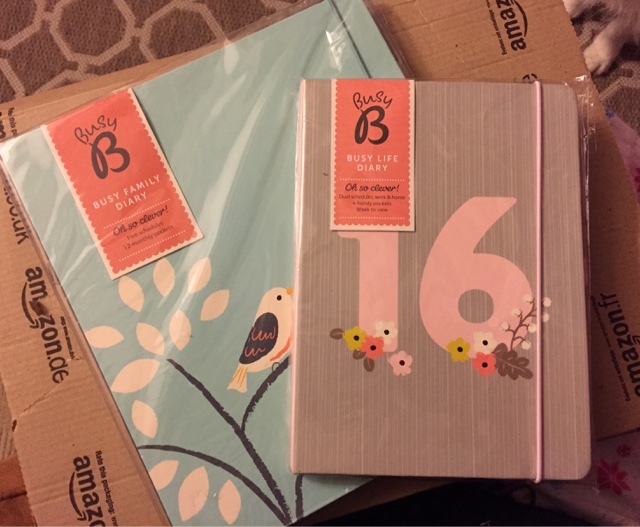 Verdict: Both these diaries are beautifully designed, contain nice paper and just feel nice to hold and flick through. 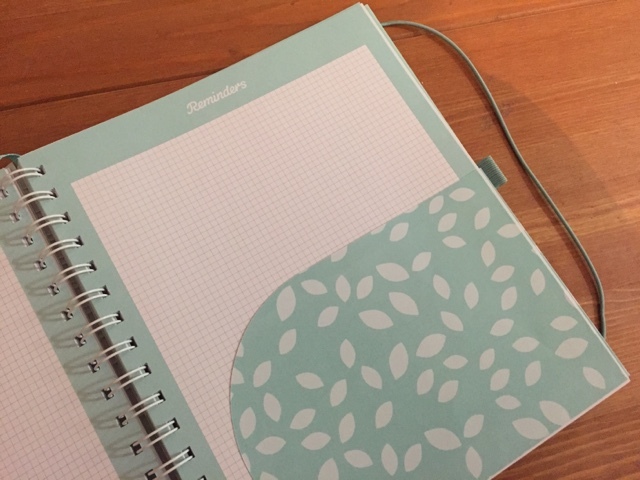 They both offer something different to your general diary and the dual function is what made them appeal to me in the first place. 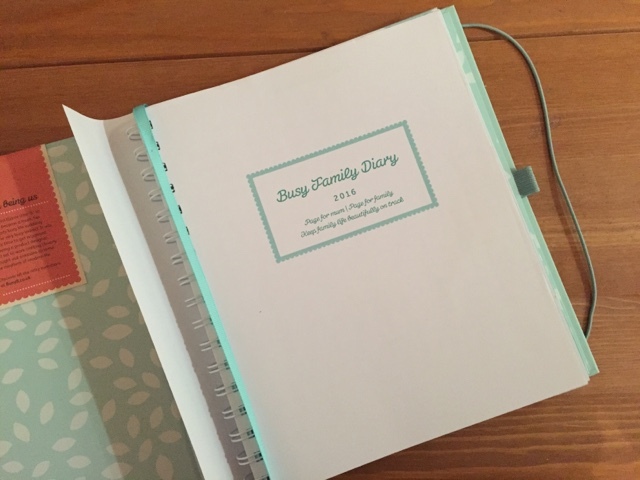 The Busy Diary is a good size to take out and about whilst the family diary gives you the chance to organise your thoughts and activities in more detail, with the size of the diary and the grid format. 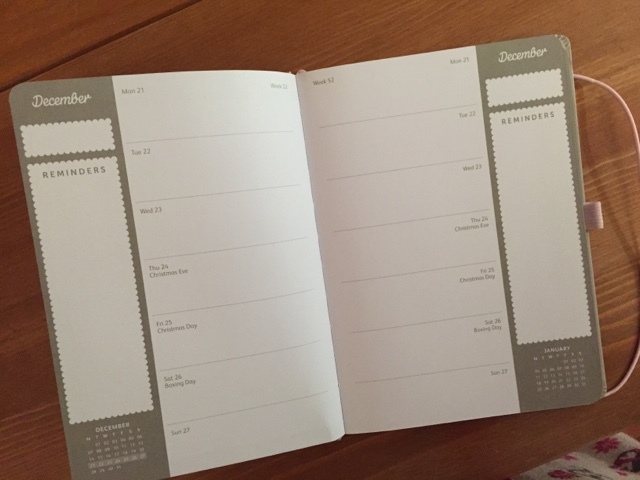 I like the size and monthly summary charts of the first and the grid plans and extra page space of the second. 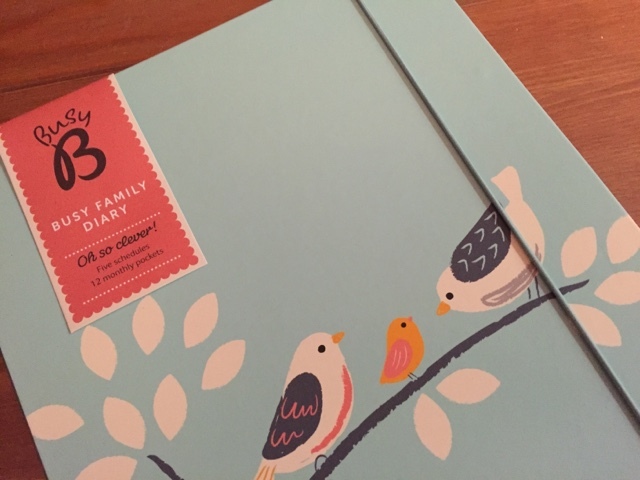 The first may be more practical for day to day so I may be swaying in that direction but the family diary is really lovely too. 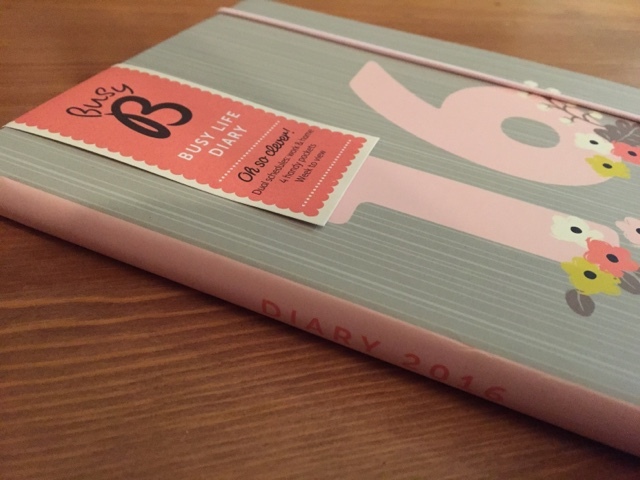 * Note: I bought both these diaries myself and may very well end up keeping them both too!